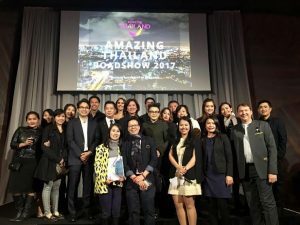 Tourism Authority of Thailand (TAT) recently hosted its annual “Amazing Thailand Roadshow” in Auckland, Brisbane, Melbourne and Sydney. 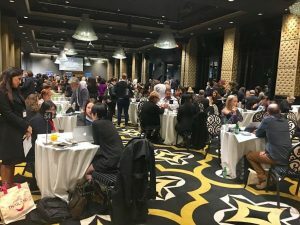 The Roadshow kicked off in Auckland with 115 travel agents attending, before crossing the ditch to Brisbane for the first time where 100 agents were in attendance. Melbourne followed with 115 attending before the Roadshow wrapped up in Sydney with a massive turnout of 160 agents. This year also saw an increase in the number of Thai suppliers participating, with operators such as Siam@Siam Design Hotel, Bangkok Hospital Phuket, Bangkok Hospital Pattaya, Manathai Hotels and Resorts and Foto Hotel Phuket all taking part for the first time. 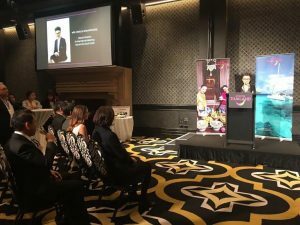 This year the roadshow was held at Sky City Convention Centre in Auckland, The Hilton in Brisbane, Show Time in South Wharf Melbourne and Doltone House, Hyde Park in Sydney. 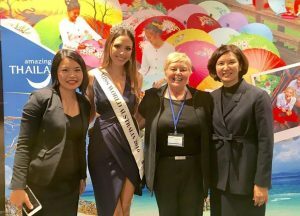 Guest speaker ‘Miss World Australia 2016’, shared her Thailand holiday experiences with the audience and Mrs. Srisuda Wanapinyosak, TAT Deputy Governor for International Marketing (Asia and South Pacific) thanked agents for their support which has seen Thailand enjoy even more growth. The Deputy Governor presented TAT’s marketing approach for 2017 which aims to position Thailand as a ‘Preferred Destination’. Mrs Wanapinyosak also encouraged agents to “up-sell” to clients by encouraging them to explore multiple destinations within Thailand.